What's cooking at the Dubai Food Festival? Sometimes all you need is food and all your blues just go away. If these photos from the Dubai Food Festival don't salivate you and make you instantly leave for Dubai, then nothing will! You know what? The festival goes on till March 12, 2016. 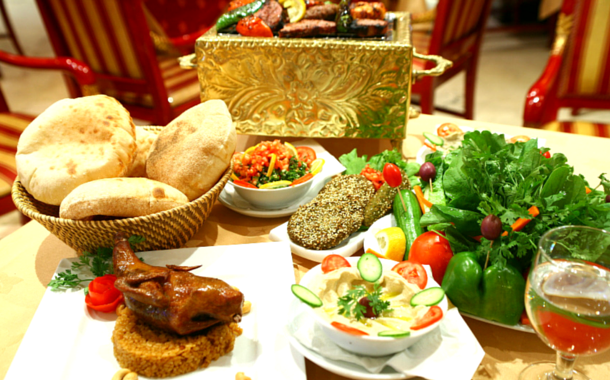 So you have ample time to get your Dubai visa and seek the gastronomic pleasure that you've always been craving for. Step out of Spain and enter London. Food trucks, Bedouin tents and a whiff of Arabic air, all under one roof. The world comes to your foot at the Burj Park. Does Masterchef Australia form your daily routine? With Gary Mehigan, George Calombaris, Matt Moran, Shannon Bennet and many more, you will learn the secrets to stylish cooking. Watch the video to know more. The Etisalat Beach Canteen is a zesty mumbo jumbo of food, music, yoga and entertainment. Beach please! Just watch this video right now. A weekend of meat and music at the Emirates Golf Club. It won't just be the grills sizzling! Butter-poached lobster or pan-seared duck breast? Lucky for you, you can choose any at Dubai’s very first Restaurant Week.